Small things hold much power for making awesome things. 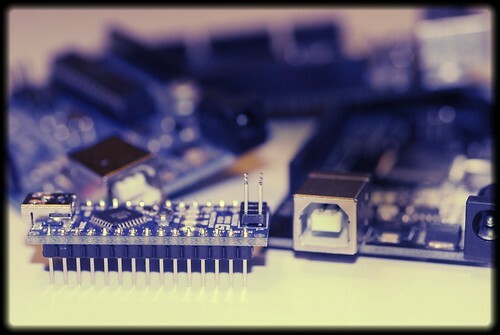 Come learn about microcontrollers and how you can use them at the Intro to Arduino workshop which will be held Tuesday, May 15, 7-9:30 PM at Metrix Create: Space. The workshop uses the Arduino board platform to teach the basics of microcontrollers, inputs and outputs, sensors and actuators, and simple ways to program them. The workshop focuses both on developing an understanding of the hardware involved in making the microcontroller board work as well as of the software needed to communicate with it. This beginner workshop will allow you to get started on whatever exciting robotics projects you have in mind, both small and large in scale. No previous programming experience necessary. Basic electronics experience will be helpful but not necessary. The workshop fee of ($60) covers 2.5 hours of instruction and all materials, including an Arduino board. To sign up give us a call (206 357 9406) or come down to the Metrix Create: Space shop on Broadway.